The AMEC CAMINO-701 is a newly designed Class A AIS Transponder with full color LCD display. The CAMINO-701 not only has a robust housing designed for maritime environments, but this unit contains sophisticated internal technology as well as a compact design for easy installation. 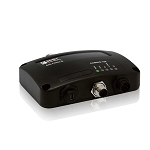 The CAMINO-701 is currently the most compact-sized Class A AIS Transponder in the world and is one of the only Class A AIS transponders with native NMEA 2000 support for connecting to marine sensors (e.g. 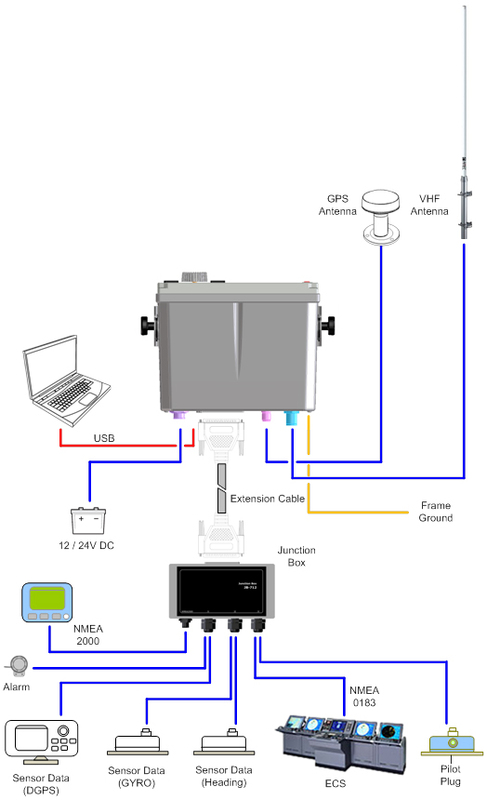 NMEA 2000 heading sensors) and outputting data to other NMEA 2000 devices. 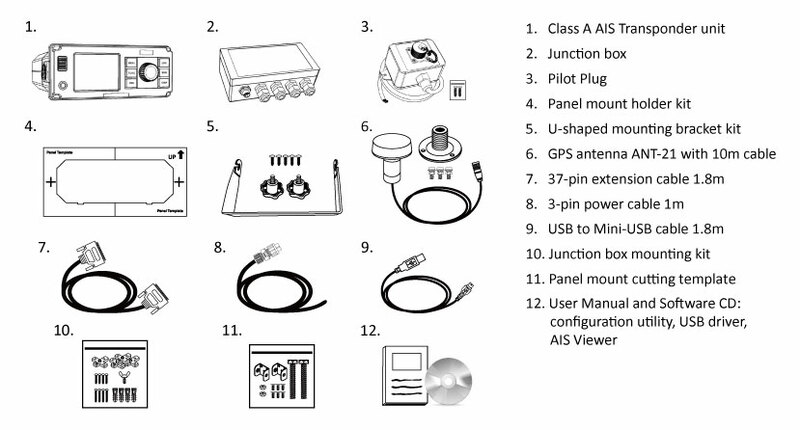 The product also includes a USB interface allowing it to be used with PC-based navigation programs and also features a Windows-based configuration program which allows the end user to easily input voyage data such as destination and ETA. The AMEC CAMINO-701 fully complies with IMO Class A AIS requirements as well as Inland Class A AIS requirements. The Dual mode can allow vessels to move from sea to river without safety or regulation concerns. 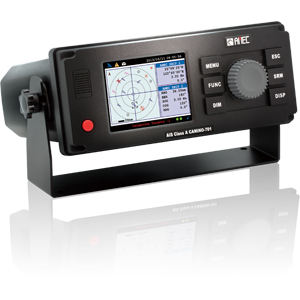 The AMEC CAMINO-701 provides Radar View and Coastal View by user’s selection. The direct control buttons, Menu, ESC, Dim, SRM, Alarm-off and User-Define help users to react effectively and efficiently in different maritime situations. The installation of the AMEC Camino-701 was very straightforward. The manual is very good and the instructions are very detailed. The overall user interface is very good and the small screen provides an excellent backup to the primary AIS display on the chart overlay. GPS antenna was mounted under the headliner amidships (shooting through the fiberglass deck) and the signal strength is excellent with the unit being well protected from the outside environment. 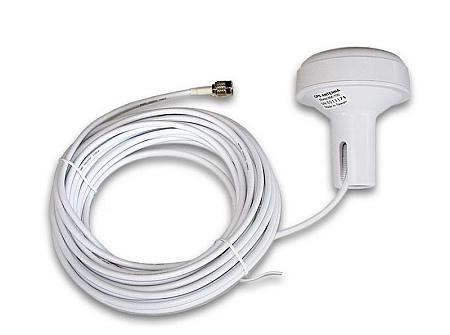 GPS antenna interface is capable of supplying either 3.3V or 5.0V to the external antenna, so if there is already an existing antenna which is run, that can be re-used. Running the unit on 24V power and working extremely well. Minimal average power draw. Basic functionality was achieved without any external interfaces. Continuing to integrate with the rest of the vessels electronics. I will update as these are complete. The supplied software is excellent, I realized after spending some time programming the unit through its user interface (which is very good) that the USB interface and software allows programming all of those settings with a full keyboard. Equipment to interface with: Standard Horizion Matrix AIS+ GX2150 Raymarine SeaTalk and SeaTalk NG Raytech Navigator Thus far, the only item which is requiring some thought is I had hoped to be able to pass GPS information out of the Camino-701 to the Matrix AIS+ so that the Matrix AIS+ would not be dependent on the primary ships GPS being up. A minor issue: The rotary knob appeared to not be consistently taking the "press to select" command. i.e. rotate to the correct number/letter and press to select. Turns out that the interference fit to the recess for the knob can catch the edge. Added two thicknesses paper to the hole in the knob for the shaft and it works perfectly. Planning to replace paper with a small washer as a permanant fix. The knob is now the same color as the rest of the face of the unit rather than Grey, I did let AMEC know and they are checking into it. Customer support from Milltech and AMEC has been excellent. AMEC provided pre-purchase support with less than 24 hour turn around for each response and perfect English! Milltech updated the unit on the shelf to the latest firmware and shipped out quickly. Overall an Excellent experience. Q: Can the C-701 take sensor data from the N2K connection? I plan to have a GPS Compass on the N2K net which produces all the data that IMO specs as arriving over 0183 connections. Adding another gateway would be terribly redundant. A: Yes, the CAMINO-701 now supports taking compass heading data from the NMEA 2000 network. This is a new feature in beta at the moment but should be a released as final shortly. AMEC has provided the following note: If heading sensor reference is True, PGN 127250 SID & Heading Sensor Reading are considered valid OR if the heading sensor reference is Magnetic, it needs SID, Heading Sensor Reading, Deviation and Variation to be valid. We can make the beta release firmware available to you once you buy the product. It is very easy to update the firmware using a PC connected via the USB interface. Q: Is the software you provide for programming the unit MAC OSX compatible? We do not have any PC's I am afraid! A: No unfortunately the software only runs on Windows (either native Windows or Windows running in a VM such as Parallels). You can also do all of the programming directly on the unit itself without a computer. A: The CAMINO-701 does not function as an AtoN but can see and pass on AtoN data from remote AtoNs. 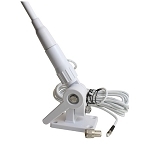 If you want to create an AtoN with AIS transmissions you'll need a product such as the AMEC MANDO series (http://www.alltekmarine.com/products_1.php?bgid=5).